Ronald Homsy is in buoyant mood as he sits down to talk to Breaking Travel News in London. In just a few weeks his latest venture, Utopian Hotel Collection will debut in the European market. 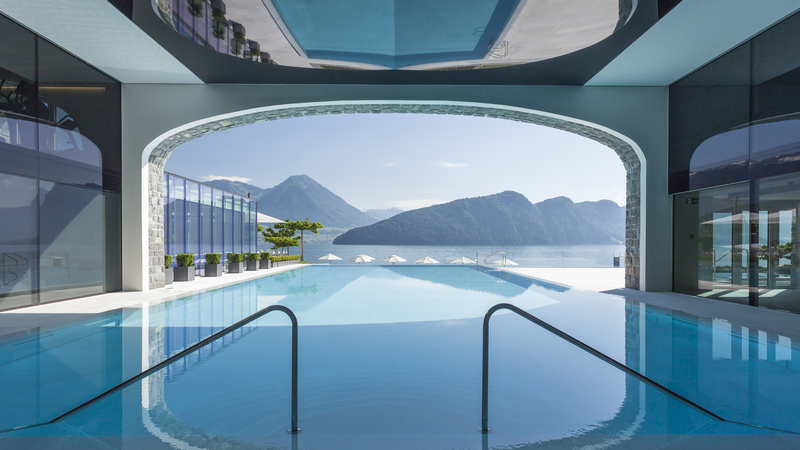 Founded by Homsy and partner Paul Cordier, Utopian will offer a collection of independent hotels as it seeks to connect with what Homsy brands “the new spirit of luxury”. He explains: “Myself and my co-founder originally conceived of the idea some time ago. “We have been in the hotel and hospitality industry forever, and we have known each other for 25 years, from school in Switzerland, where we studied hotel management. “We therefore are very close and have a similar mentality. “We realised during discussions that there was a big gap in the market in the luxury independent market, on the hotels side. Utopian seeks to be that brand, connecting time-poor luxury travellers with an exclusive portfolio of properties. The team behind the collection has visited over 1,000 properties ahead of debut, selecting only the best for inclusion. Homsy believes that once a property has the Utopian seal of approval, guests are guaranteed an authentic and world-class experience. He continues: “Myself and my partners, we travel a lot and we have a certain network; I personally have visited 80 countries. “Identifying hotels is therefore very easy for us. “Obviously, we do not know all hotels, but we have a team that is curating the properties. “We visit the properties, we stay, we live the moment, talk to the people and do our homework. “Only then do we engage and invite them to join. “We then look to sign a three- or a five-year contract, with quality control every year. There are currently 25 hotels on offer, largely in Europe. From fig-picking in Europe’s biggest fig plantation which sits on the Hotel Furnirussi Tenuta’s doorstep in Italy, to a stay in the Salvador Dali Suite at the Hotel Vistabella in Spain or an old school photoshoot experience with the world-renowned Studio Harcourt at the Nolinski Paris, Utopian hotels certainly promises a lot. 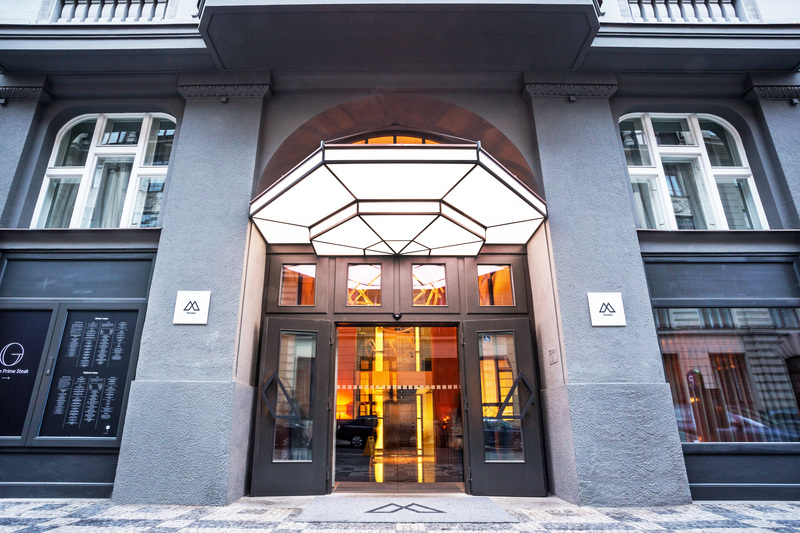 Art lovers will be able to admire some of the finest art collections at the Emblem Hotel Prague and guests are also invited to display their artwork within the hotel. But, of course, a lot of other organisations make similar claims. Marriott’s Luxury Collection or Curio from Hilton show the majors have long been aware of the potential of soft branding diverse hotels. “The differentiator between us and the larger chains is that we do not operate, we curate,” explains Homsy. Utopian will be largely a sales organisation, but it will also offer member hotels a booking platform, as well as public relations, sales, distribution, reputation management and other consulting services. “Independent hotels do not have the means and the knowhow to do what we do,” explains Homsy. “They are good at sharing a wonderful experience with their guests when they are in property, but the before and the after is more difficult for them. To participate hotels must pay an annual subscription as well as handing over a chunk of each booking fee to Utopian. The relationships are not exclusive, meaning hotels are free to sell through other channels. “As long as the hotels feel they have seen value added and are making a return on investment, then everybody is happy,” continues Homsy. The model is, of course, similar to that of Small Luxury Hotels of the World, Preferred Hotels and Leading Hotels of the World, which all offer marketing to independent properties without getting involved in management. But Homsy, a native of Lebanon who speaks five languages, argues Utopian is different. He explains: “We are offering a different mindset, we are not doing it that way. “We are investing heavily in technology, our criteria for membership is different, the products and services we offer are very different and the end goal is different. “Utopian Hotels will be able to deliver a certain level of consistency – I could not offer 15 properties in London, for example. “If I want to be able the right experiences to clients, I do need to have a certain number. “So, it is a middle ground, I need to offer a Knightsbridge experience, a Mayfair experience and a Shoreditch experience, for example. For guests, Homsy hopes, this means a seamless experience, with Utopian able to meet the changing expectations of luxury travellers. “We realised there is a new traveller emerging,” Homsy continues. “The market is no-longer as it used to be; technology has changed the whole dynamic. “People do not want to travel as tourists any more, they want to visit places and live as the locals do, to experience things. “Hospitality is about an attitude, guests do not want to wake up in Paris and not know whether they are in France, the United States or Thailand because the hotel looks the same. Warming to the theme, he adds: “A client can come and book their stay on our website, or they can call us. “This is not a call centre, but a team of luxury consultants. “If you are going to Paris, and you see we have three hotels in Paris, you can call us and receive that human touch. “We will ask you, what is it you are looking for? Are you going for business, leisure, what is it you would like to see? “We can then advise on which property you might like to visit as well as offering some tips on where you might like to visit, to eat or what to see. “The aim is not for the hotel to milk the client on room service, on restaurants, on spa treatments – people want to go out. “If they are to come back to the hotel, they need to feel that the property is in touch with the local community, is working local suppliers and will be able to offer something new. Following a launch in September there are plans to seek out airline, chauffeur and other partners to build the complete experience. “We are offering a luxury experience, from the moment you book, through your time in the property, in the destination, and on departure,” Homsy adds. With plans for a loyalty scheme and roll-out to Asia and the wider world there is plenty on the agenda. But entering a competitive space there are also plenty of challenges ahead. Russian international polar festival has rocked out loudly!